In this poignant and sparkling debut, a lovable widower embarks on a life-changing adventure. Sixty-nine-year-old Arthur Pepper lives a simple life. He gets out of bed at precisely 7:30 a.m., just as he did when his wife, Miriam, was alive. He dresses in the same gray slacks and mustard sweater-vest; waters his fern, Frederica; and heads out to his garden. But on the one-year anniversary of Miriam's death, something changes. Sorting through Miriam's possessions, Arthur finds an exquisite gold charm bracelet he's never seen before. What follows is a surprising and unforgettable odyssey that takes Arthur from London to Paris and as far as India in an epic quest to find out the truth about his wife's secret life before they met - a journey that leads him to find hope, healing, and self-discovery in the most unexpected places. 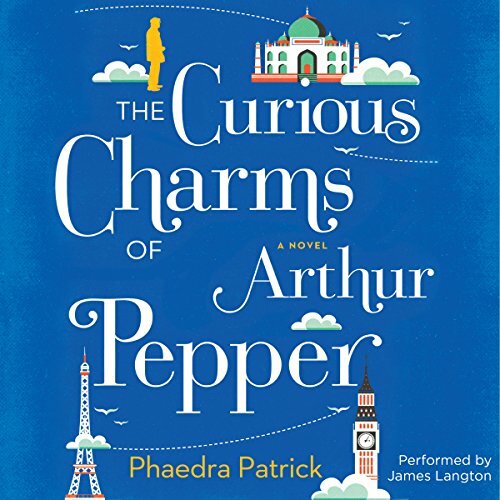 Featuring an unforgettable cast of characters with big hearts and irresistible flaws, The Curious Charms of Arthur Pepper is a curiously charming debut and a joyous celebration of life's infinite possibilities. If you have any questions about this product by Harlequin Audio, contact us by completing and submitting the form below. If you are looking for a specif part number, please include it with your message.